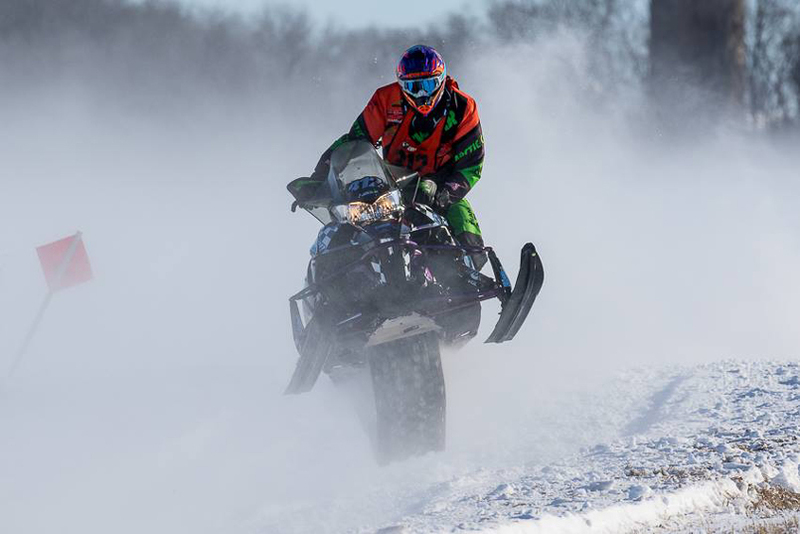 Fertile, MN (February 13, 2017) - Cross-country is the bread and butter of snowmobile racing, and it was the original Winnipeg to St. Paul race that gave cross-country snowmobile racing the glamor and mystique that drove it into the modern era. 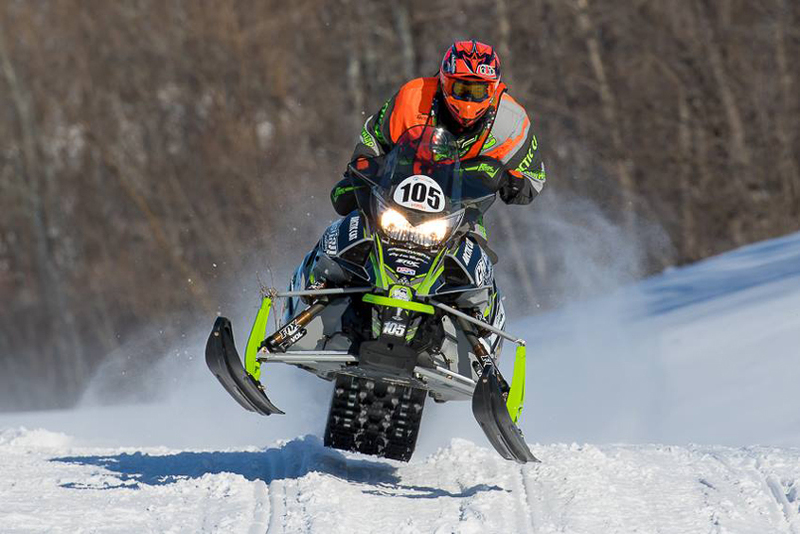 Run from 1966 to 1980, the race defined cross-country and even today sparks dreams of glory in the minds of snowmobile racers. 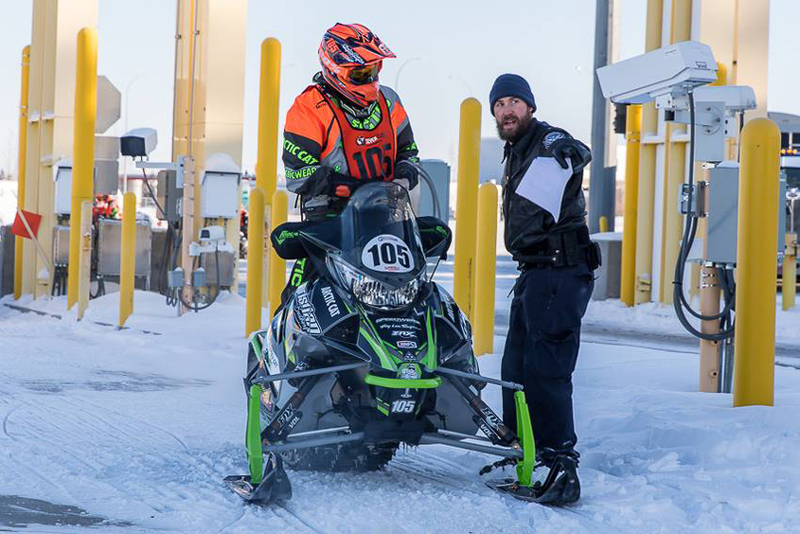 This past weekend, 51-years after those first 57 riders set out for the first time in 1966, a group of riders once again lined up with sleds pointed toward the U.S. border. 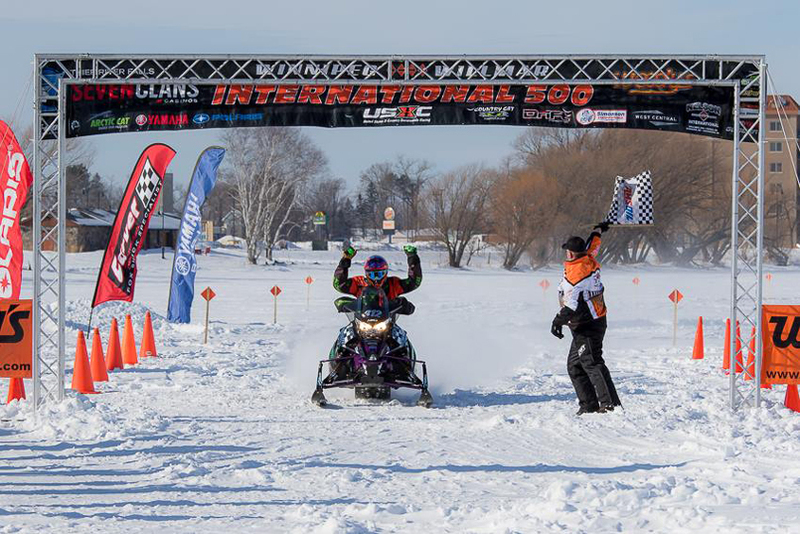 Race organization USXC had planned a Winnipeg to Willmar event for the past two seasons, but, due to poor snow conditions previous years, 2017 was the first year they had the chance to make it happen. Snow conditions meant the race would start in Winnipeg, Manitoba, and end in Bemidji, Minnesota, instead of Willmar. Christian Brothers Racing riders Zach Herfindahl and Ryan Trout were prepped and ready to follow the three-day route which took them from Winnipeg to Thief River Falls on Day 1, then on loops around Thief River Falls on Day 2 and finally from Thief River Falls to Bemidji on Day 3. Herfindahl was first to the finish line in Thief River Falls on Day 1, but his overall time put him in 4th place on the scoring charts. Day 2, the riders left in reverse order, so he left far back in the pack, making his day a little more challenging having to pass so many riders. This did not deter Herfindahl, instead he put over a 6 minute lead on the rest of the field, allowing his team to take the one-hour maintenance session and adding a minute to his time. Day 3 the riders left on time with Herfindahl starting 5 minutes 19 seconds ahead of everyone else and, with clear course ahead, Herfindahl was able to make time on the field and secure the win. 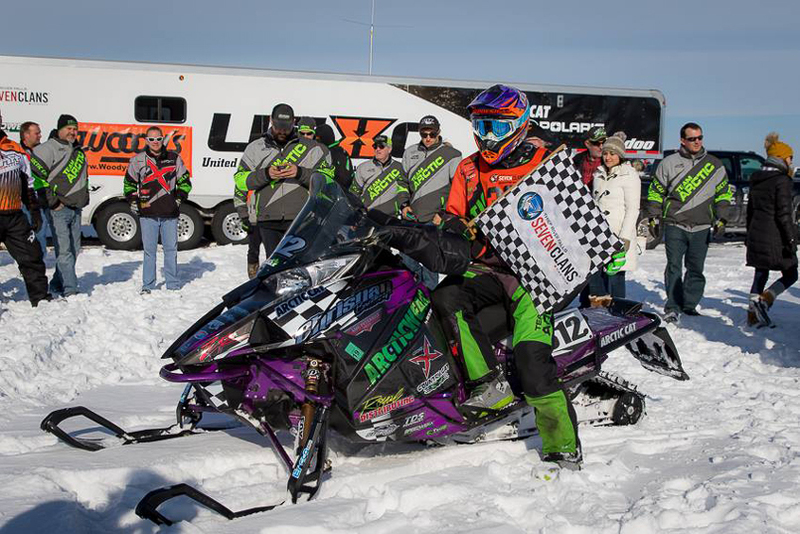 "This was a long, tough race, but our Arctic Cat snowmobile handled awesome," said Hefindahl. 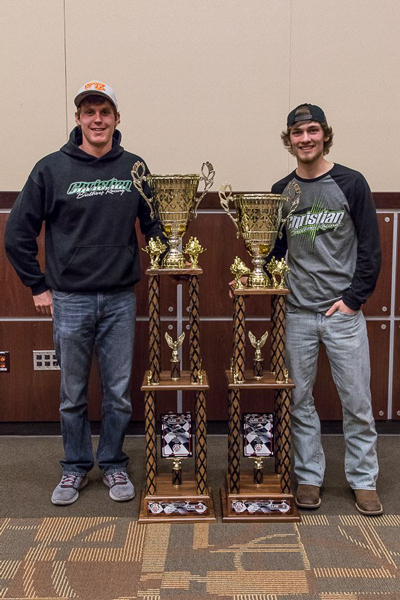 "We can't thank Arctic Cat enough for what they do. In a race like this their work really comes through. We came out with our first win in the I-500 and had a lot of fun doing it!" Trout was double-registered in Semi-Pro and Pro 600, but his focus is Semi-Pro, and that's where he got the class win, besting a field of 25-riders to take the win in the class. Ultimate speed isn't always the key in cross-country, and Trout used a conservative strategy on Day 1 to keep himself in position to win. Trout also earned himself a 6th place in the Pro 600 class. "The first 50-miles in Canada was really nasty, I watched three people crash in front of me and I knew I couldn't ride over my head and screw up early in the race," Trout said. "The second day it got rough, but I put the hammer down and made up a huge chunk of ground. The last day I had a good lead and finished at the top of the charts. I can?t thank the team enough for all the hard work they put into this race." Next up for Christian Brothers Racing cross-country riders is the USXC Seven Clans Warroad 200, February 25-26, in Warroad, Minnesota.